In this case, the interests of the Russian business and the Nigerian leadership coincided as both chose agriculture as one of the pivotal points of growth of the country’s economy. 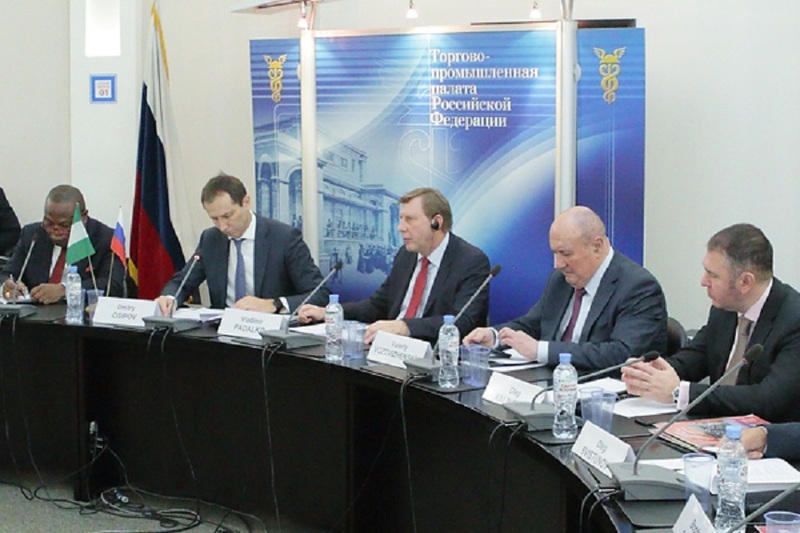 Osipov informed that the Business Council includes representatives made of thirty-four Russian companies and practically each of them has its own business interests in Nigeria. Abuja Chamber of Commerce President, Adetokunbo Kayode, stressed that the history of Russian-Nigerian trade relations, and noted that much has changed. He said that the Federal Government of Nigeria has created a favorable business climate to attract foreign investors to Nigeria. Nigeria is developing rapidly. Now it is the largest market of the continent. The population growth presents a large market for consumer products. Therefore, the presence of Russian business in the heart of Africa is welcomed. The NIDOE-Russia was established as a forum for Nigerian professionals residing in Russian Federation to participate in the development of Nigeria. It works closely with the Presidency, the Federal Ministry of Foreign Affairs, the Senate’s Committee on Diaspora Affairs and the Embassy of the Federal Republic of Nigeria. Kester Kenn Klomegah frequently writes on Russia, Africa and BRICS.